Founded by Tokuji Hayakawa, Sharp has over 50 years experience in solar development. Although it was founded in 1912 it was not until 1963 that Sharp began mass production of solar cells. The company first pioneered solar power research in 1959 and is today highly acclaimed in this field both in Japan and elsewhere. Offices can be found in Paris, the Netherlands, Mexico and many other countries. Sharp is the world leader in solar cell production, with a production capacity of 400 megawatts in 2005. Their solar cells provide power in satellites, lighthouses, industrial applications, public buildings and domestic settings. 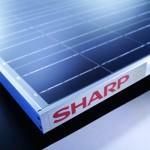 Every fourth photovoltaic module installed in the world is produced by Sharp. Sharp’s UK division, Sharp Electronic (UK), is based in Uxbridge, with a showroom in Cheshire. 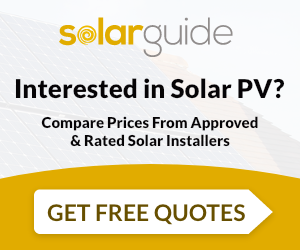 For its UK customers Sharpe provides photovoltaic solar panels. They also sell monocrystalline, polycrystalline and thinfilm modules. British distributors include Ecofirst, Solar Green and Solarcentury, to name a few. As well as solar technology, Sharp produces products including home appliances, blu-ray DVD players and televisions.